For any young football fan, this faux leather football beanbag would make the perfect gift. You can select the colour you would like to go with the white panels. 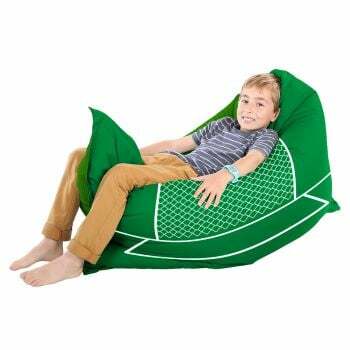 If you support Man Utd, then you can have a red and white football beanbag or is you support Chelsea, how about a blue and white football bean bag. It is great for relaxing, watching the footie or reading a book at story time. 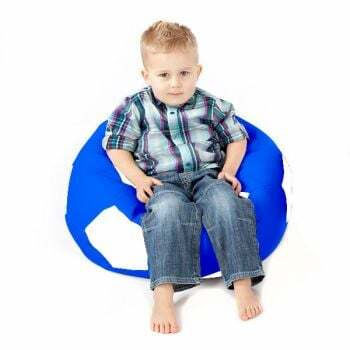 The beanbag is lightweight and features a handle so is easy to move around the house. This beanbag can have personalisation so why not have a name embroidered. Personalisation is discounted with this item. 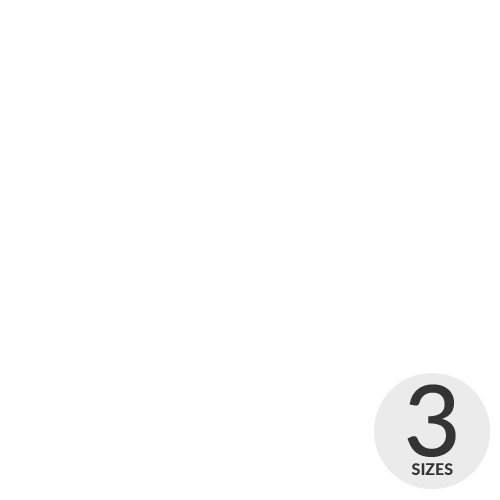 The fabric is a soft and supple faux leather which can be wiped clean very easily. My 1 year old looks so cute sat on his beanbag just before bed when he is having his bottle. It's the only time he sits still!